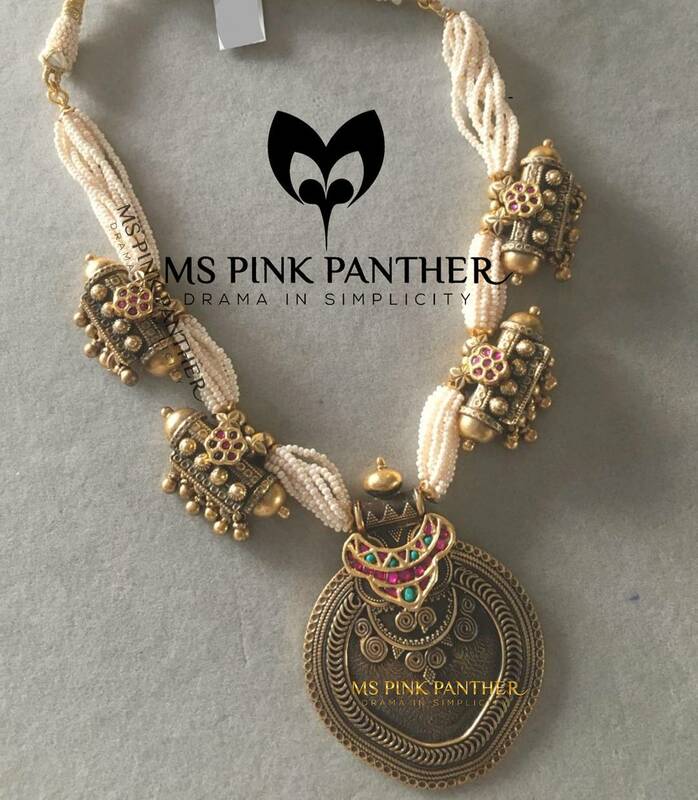 This beautifully crafted silver necklace is from Ms Pink Panther Jewellery. 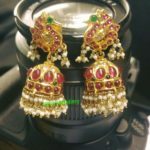 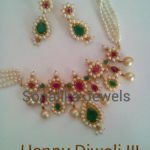 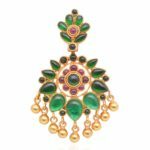 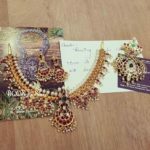 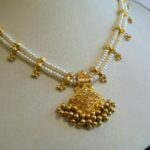 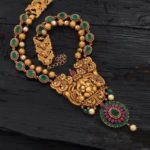 This necklace is gold coated and studded with semi precious stones. 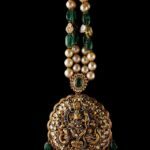 The side pendants are intricately carved as sacred amulets.